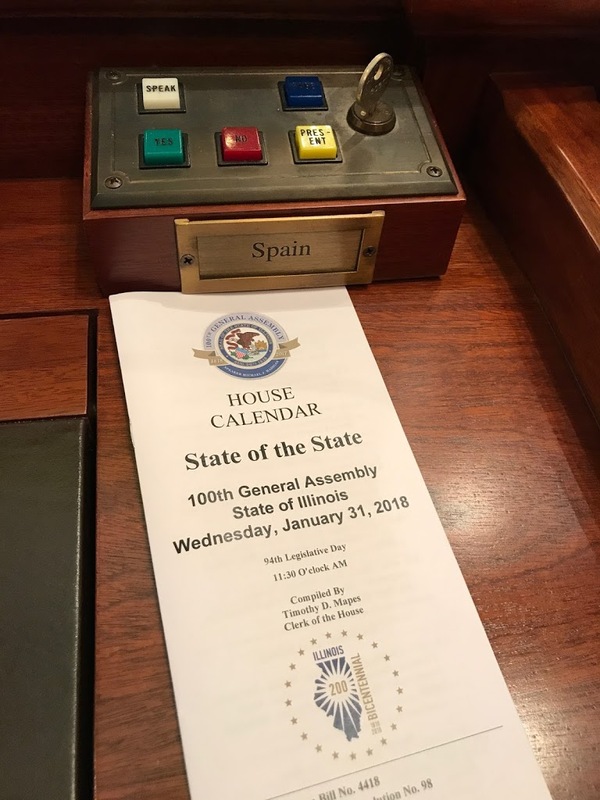 Representative Spain also took his second State of the State Address to recognize accomplishments made since the last address. “In last year’s State of the State Address, Governor Rauner highlighted legislation I sponsored to allow volunteer work at State Parks and Trails. This legislation has since been passed and enacted and is bearing fruit in additional volunteers working at our parks and trails. Recreation enthusiasts as well as conservationists will benefit for years to come because of this important legislation. This is a great example of ways we have and can continue to work together,” continued Spain.